Bayern Munich have become the latest European superpower this week to register their interest in Alexis Sánchez, one of those few players at the elite level who looks readily available this summer and capable of making an impact at any of the Champions League big-hitters. The German club are believed to be prepared to offer €65 million (£55 million) for the 28-year-old who has continued to stall on signing a new contract at Arsenal. The scale of the fee is surprising for a player with just 12 months left on his contract. But, unlike his team-mate Mesut Özil who also may leave, Sánchez is in high demand. It means that after three years at Arsenal, Sunday’s visit of Manchester United could well be one of the last occasions when the club’s marquee player is tested at home against one of the big guns of English football. The Chilean is one of those rare talents for whom just about every major European club has weighed up an offer. Bayern have long admired him and, having been eliminated from the Champions League semi-finals last month, are now focusing on next season. Paris Saint-Germain, Manchester City, Chelsea and Juventus are all also interested in Sánchez yet Bayern are increasingly confident of making the signing they want in spite of major competition. If they are to sign him then the German club are more likely to want the saga concluded early in the summer. It would be fair to say that every month that passes without resolution weakens the hand of his current club. Increasingly it feels like Sánchez’s breadth of choice will be the story of Arsenal’s summer, rather than any hopes that the club might have of holding on to him. Against that backdrop they are nine points off the top four places, albeit with two games in hand over Liverpool and Manchester City, who occupy the last two Champions League spots. 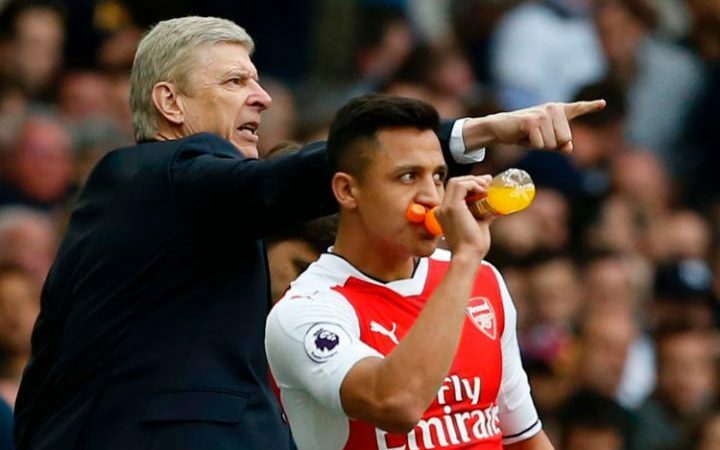 Arsenal have lived with the uncertainty around the future of Sánchez, as well as Özil, for so long now that it can feel incidental to whatever happens to be the issue of that particular week, such as finishing below Tottenham Hotspur. Nevertheless, when a manager is fielding questions regularly about the future of his two biggest names, the effect on the club’s morale, and its standing in the eyes of other acquisitive rivals, is cumulative. For all that, Wenger has adhered to his old rule of never rebuking his players publically. 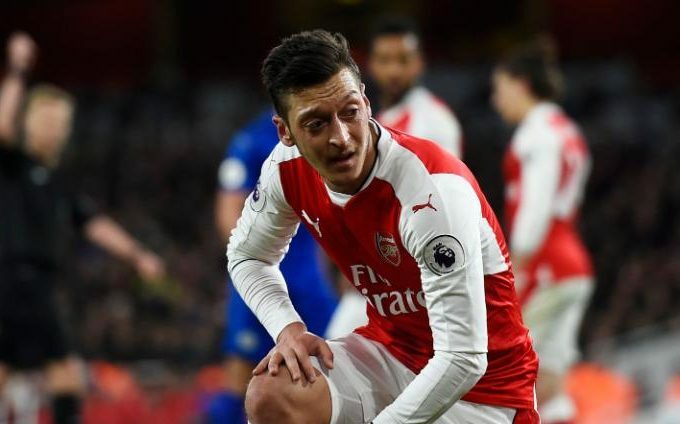 The lack of clarity around his own future has put him in a weak position when trying to close Sánchez and Özil’s contract stand-offs, nevertheless he would have been entitled to criticise some of the performances in recent weeks, especially those of the German. Asked whether he might be prepared to make his criticism more public, as Mourinho has done this season, Wenger remains adamant that a lifetime habit in football will not change in spite of the pressure he finds himself under with open dissent among Arsenal supporters about his future and the direction of the club. “Ideally you have to be careful with that [criticising players] because you cannot do that in every single game,” he said. “You can do that in extreme situations but it has to be handled carefully because as well, we have spoken before about players dealing with stress. It just makes that stress level worse for them because top players have a good and objective assessment. They know well where they stand. Have there been times when Wenger has been obliged to bite his lip? “Of course I have to, like you have to do it in any job everywhere,” he said. 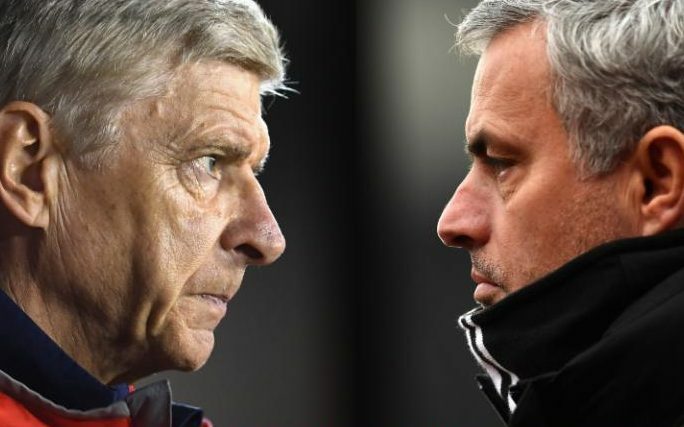 There is still the FA Cup final awaiting Arsenal at the end of the month and Mourinho’s very presence on the touchline at the Emirates, not to mention his threat to play a weakened team ahead of the Europa league semi-final next week, should be enough to stir the atmosphere in the stadium. Even so Wenger, who has never beaten a Mourinho side in a competitive game, will be scrutinised for how his team reacts to whatever game plan the United manager has in place. Tottenham Hotspur’s defeat by West Ham United has all but ended a possibility that Arsenal fans feared most: their old rivals winning the title, but the Emirates is perpetually a bad performance away from some form of insurrection. “We have to use the frustration and transform it into positive energy,” Wenger said. “The players have been very hurt by our last result and performance.